Kingspan plans to use 500 million recycled plastic bottles a year in its insulation products by 2023. And by 2025, the building materials manufacturer aims to double this to one billion. The initiative is part of a broader programme from the group to produce its products in a low-carbon and environmentally responsible way. Kingspan is already manufacturing insulation using recycled plastics. But, from today, it will add plastic recovered from the oceans to its production chain. To achieve its target, Kingspan has partnered with the EcoAlf Foundation. Under a three-year agreement between the two, Kingspan will help to remove up to 150 tonnes of waste from the Mediterranean annually through the EcoAlf Foundation's network of fishermen. Kingspan said it will reuse as much of the ocean plastic recovered as it can in its production. "Today's announcement forms part of a longer-term strategy we are developing around supporting the circular economy and increasing our use of recycled materials," said Kingspan CEO Gene Murtagh. "With the construction industry contributing 30pc of all the global waste that goes into landfill it is vital that we at Kingspan find responsible ways to reduce waste at all points in the supply chain." 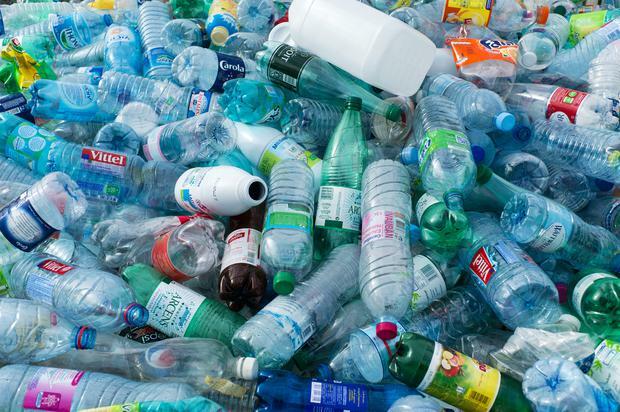 Currently only 9pc of the plastic in the world has been recycled. Earlier this year Mr Murtagh said the group's new global innovation hub will create at least 100 "high-end" jobs. The company is investing an initial €10m into the new Ikon hub that is under construction next to its headquarters in Kingscourt, Co Cavan. The hub is due to open in the third quarter of this year. Gordon Deegan A judge has told a north Clare farmer that if he hasn’t removed by tomorrow 14 ewes and their lambs from a one and a half acre field owned by his brother, he will be sending him to jail. Margaret Donnelly The fifth Kerry Agribusiness Forward Price Scheme has opened and is now available to milk suppliers for online application from yesterday and will close today. David Chance Farmers protesting against loan sales at AIB's annual meeting scored a coup when they managed to get CEO Colin Hunt to agree to meet them.